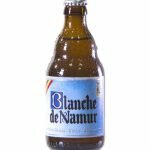 Blanche de Namur was the daughter of Count Jean de Namur. 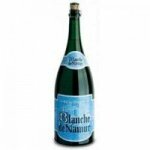 It is said that Magnus IV Eriksson, King of Sweden and Norway, was seduced by the beauty of the princess, while heading to France in search of a prestigious wife. 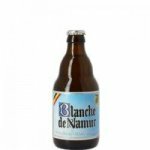 The princess embarked for Scandinavia in August 1335 and never saw the banks of the Meuse to become Queen of Norway , Sweden and Skåne. 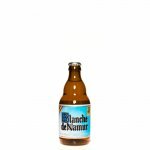 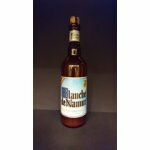 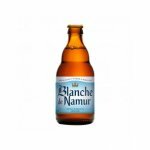 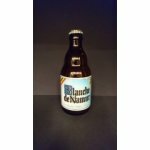 In memory of her beauty, her gentleness and delicacy, the Brasserie Bocq dedicated her a white beer: " Blanche de Namur"
Cloudy, smooth and mellow, the Blanche de Namur is a wheat beer of the highest quality. 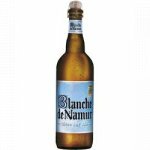 From the first sip, you feel all the roundness and delicacy that make it an exceptional beer. 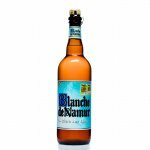 Its qualities and the "know-how" of the brewery, earned this beer the distinction of the best white beer in the world in 2009, 2013 and 2014. 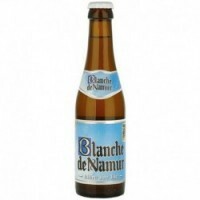 A true model of its kind, both floral and fruity, with subtle hints of coriander and orange peel. 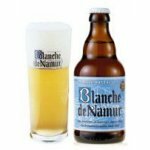 The nose is fresh, rather delicate. Serve cool, not cold, to enjoy the flavor and accentuate the elegant bitterness that wraps around the mouth throughout the tasting. 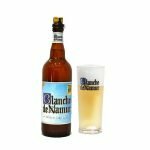 Una gran cerveza de trigo, de las mejores que he probado. 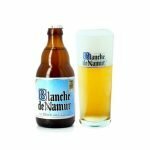 Aunque quizás sea una cerveza que cuesta repetir. 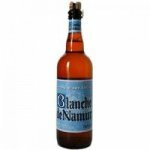 Para tomar de vez en cuando. 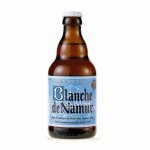 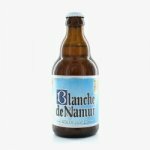 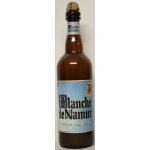 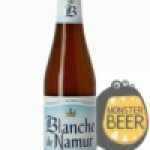 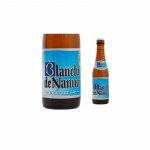 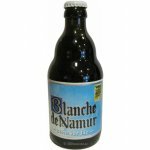 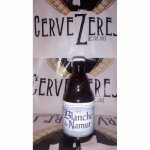 Cerveza Blanche de Namur 33 cl. 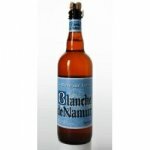 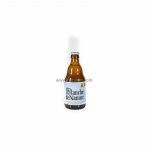 Blanche de Namur 75 cl.